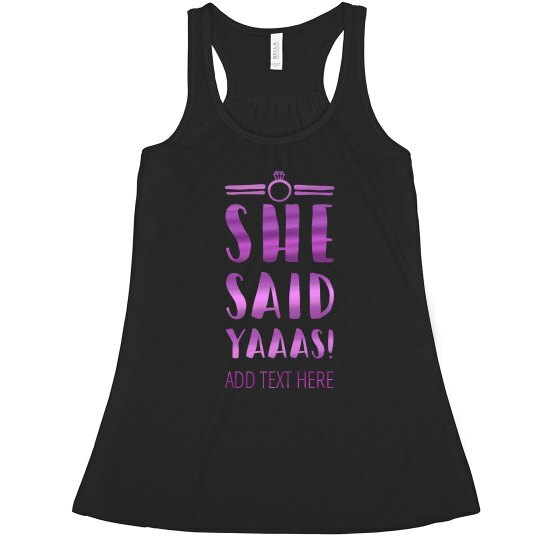 Support your BFF and snag this "she said yaaas!" tank top to wear out during her bachelorette party. Customize it by adding some text of your choice. Make sure all of the other ladies attending have one as well!